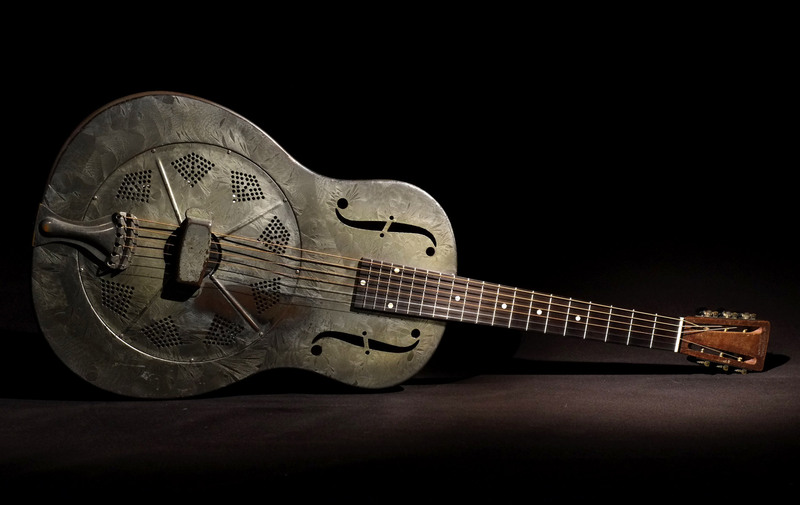 An original finish 1932 12-fret, Duolian with the classic “green” frosted duco. All steel body and coverplate. It’s all original except a new non-arched, ebony fretboard. This one also has the coverplate mounted 180° from the normal orientation. 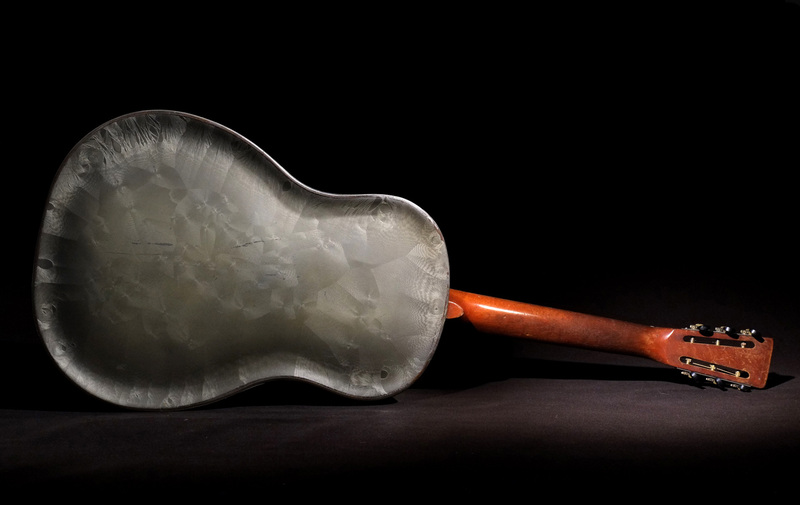 A number of these guitars from this era were known to have been assembled this way. I do not believe that these guitars were green when they were new. I think that it is a result of the finish aging that turned them green. My thoughts are that they left the factory in the 30s in a silver/gray finish. Whenever I’ve had the opportunity to examine places on old Duolians that have not been exposed to the elements (like on the body under the fretboard), I have always found that area to be silver/gray, even on green guitars. I believe the green comes from the frosted duco finish having a natural tendency to have a very slight green tint to it (something known about this finish in the 1930s) and the natural ambering of the nitrocellulose clear-coat on top. The finish never really turns green in a uniform way, which just adds more character to its look and style.